Hello Readers…! Welcome back I m already tell you How to Connect Android Phone to PC so now I tell you How to Connect Mobile Internet with PC via Bluetooth OK.
After watching this video I hope you will learn it something new. If you like my video to share with your friends and social networks. Subscribe my channel on YouTube for more updates. If you face any problem or have any question/ suggestion about this video or topic tell me feel free. I’m with you. Hello World.....! Today I’m tell you how to connect your 'android' phone to 'pc' using 'Bluetooth' this is very easy and quick way to connect your 'android' phone to 'pc' OK. Then how to transfer your files from computer to mobile or mobile to computer it’s very fast and quick way to transfer your files from computer to mobile or mobile to computer. After how to connect mobile internet with pc via Bluetooth . Let’s start first of all if you’re using 'Desktop' 'Computers' then need a 'Bluetooth' device or if you’re using 'Laptops' then no need Bluetooth device because Bluetooth belt-in in Laptops . 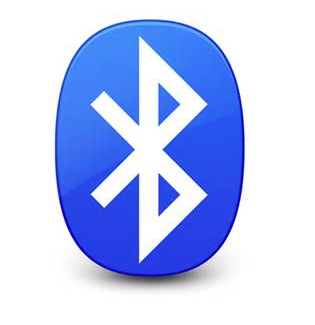 'Computer' user connect Bluetooth 'Device' to Computer 'USB' port Computer automatic deduct ‘Bluetooth’ drivers OK.
Now make sure Bluetooth icon appears in the task-bar. See picture. If are not appears in task-bar then got >Control Panel. Then tick and apply ok. This code enters your phone Congratulations after entered your phone has successfully added to your computer. Congratulations….! Now your files are successfully sent…………..